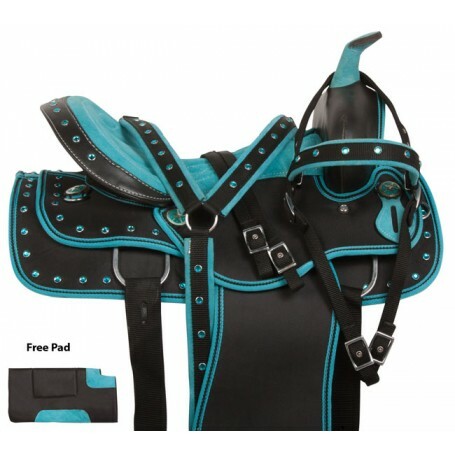 This turquoise saddle set is the hottest color this season! 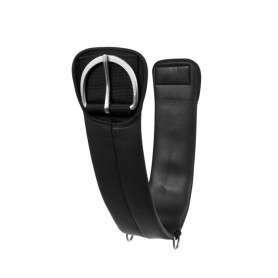 The black synthetic material is outlined with a turquoise piping around the edges that add flair and functionality by ensuring the saddle stays tear-proof. Turquoise crystals accent the skirting and the cantle to add extra bling. This saddle set also features turquoise and silver Texas star conchos. 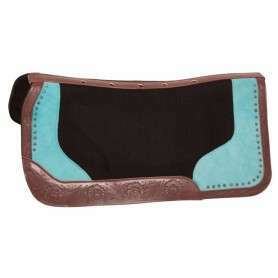 The seat is well padded and covered in a turquoise colored suede that adds comfort and a finishing touch to the saddle. 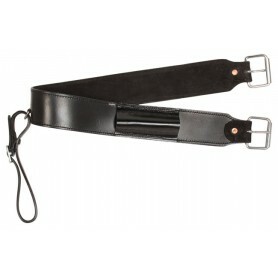 The underside is well-padded for optimum horse comfort. For a limited time only, receive a FREE matching headstall, reins, breast collar, and FREE saddle pad while supplies last! Cinches NOT included.